Everyone has their favourite horror game (well, most people do. I know some don’t like horror at all, but even genre non-fans tend to find one or two that really capture the imagination). 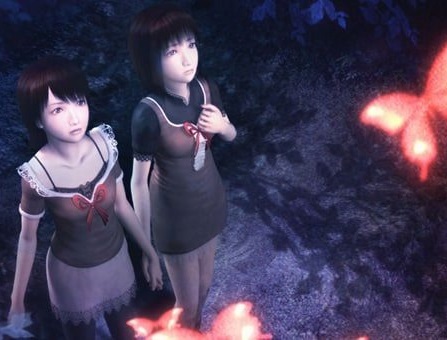 I’ve written in the past about Clock Tower 3, which is right up there as a favourite of mine, but nothing quite compares to Project Zero 2, or Fatal Frame 2, depending on where you live. This one is my favourite horror game of all time. Related reading: Matt's review of the fifth Project Zero title, on the Nintendo Wii U.
I played this game for the first time back on the PlayStation 2, and it was indeed my first Project Zero game. I’d had some experience with Silent Hill and Resident Evil at the time, but at that point I was a big fan of horror films without having played too many games from the genre - in part because horror wasn't really a big deal when developers had such primitive graphical engines to work with. Horror relies heavily on the visual element. It was only after Project Zero 2 that I really started to get hooked on the genre. I was so attracted to Project Zero 2 because it was so damned smart. Yes, so are the (early) Silent Hill games, but Project Zero was a game that was smart in areas that really appealed to me. The first thing that really caught my interest was, of course, the aesthetics. Project Zero 2 is unashamedly Japanese, where Silent Hill, Resident Evil, Clock Tower, and indeed most other horror games are set in predominantly western (or at least nondescript) settings. This meant that Project Zero 2 had that element of the exotic to it, and the way it depicted traditional Japanese buildings and villages is something that has stuck with me ever since. Indeed, now that I travel to Japan regularly, whenever I’m out in the countryside and see a thick fog set in, I actually immediately visualise Project Zero 2. It’s creepy, but beautiful and distinctly Japanese. 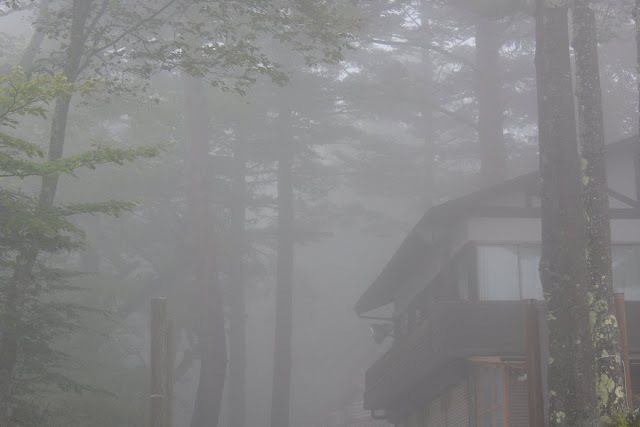 The forested areas that surround the haunted village that forms the main location in the game is also heavily inspired by Japanese forests like Aokigahara and others. Having spend time there as well, I found the dense stillness of the forest to be unnerving but beautiful (especially given its reputation), and that too I thought was captured with majesty within the game. Project Zero 2 features many scary elements, of course, but ultimately it has that Japanese sense of horror where it’s not about shocks and brutal imagery. It’s more a story of tragedy and the horror comes in being empathetic to the characters – both heroes and villains. It’s that sense of horror that marries perfectly with the Japanese aesthetics and the atmosphere of the landscape, and the more I get to know Japan, the more I realise just how cohesive and downright beautiful that game is. Japan really does have landscape and visuals that show where Project Zero 2 came from. Rather than be a story of violence and ugliness, Project Zero 2 is a story of tragedy and sadness, and the horror that comes from witnessing that. The core thematic concept of the game is symmetry that has been disturbed, with the protagonists being twin girls (Mayu and Mio), one healthy and one physically crippled, and much of the game’s horror comes from the way that they’re torn apart, both physically and emotionally. Kikuchi confirmed for me that this was indeed the central thematic focus of the game. “A butterfly’s defining feature is that it has two wings that maintain a balance between left and right, and we started to think about how tragic and frightening it would be to have that equilibrium torn apart. And we really are talking about the pressures tearing the girls apart to be extreme here. Spoiler alert in case you haven’t played the game yet (though it’s a game that was originally released in 2003, so I’m not going to feel bad about sharing spoilers here); One of them has to decide whether to sacrifice her sister (ripping one set of wings off the butterfly), or doom the world as supernatural forces escape the cursed town. That’s a Sophie’s choice and a half. That decision, the morality behind it, and the narrative that leads up to it were all intense enough that I remember being physically unable to put the game down the first time I played it. This was a very different approach to horror to anything I had experienced previously; both Silent Hill and Resident Evil had a much stronger focus on the action, puzzle solving and combat than Project Zero 2 did, and as a guy who has always liked his JRPGs and other narrative-driven genres, this really resonated with me. Related reading: My other favourite horror game is Clock Tower 3. I've done a piece on it here. Of course, Project Zero 2 did have puzzles and combat, and I found the combat in particular to be remarkably clever, because it forced players to invert their natural response to seeing something horrific. Horror games generally enjoy throwing difficult enemies at players, and then forcing players to keep a distance from them; be it by shooting them, running away from them, or using hit-and-run tactics. But in Project Zero 2, you deal with ghosts by taking photos of them (as it drains the energy sustaining them), and you do more damage to them the closer they get to you. In other words, surviving in this game requires that you resist the “flight” survival mechanism and actively encourage the enemy to get as close as possible. That tension as the spirit closes and you’re resisting the urge to try and take a photo of it too soon is an adrenaline rush in its own right, and it’s a terrifying one. I distinctly remember how much my hands were sweating the first time I played this game. Sadly, the Project Zero franchise looks more and more like it’s one that will be rarely rolled out, if at all. It’s now joint owned by Koei and Nintendo, and by the standards of both companies it couldn’t be considered a major, guaranteed, sales opportunity. Each game in the series is great in its own right (and I really loved the last one, Maiden of Black Water, on the Nintendo Wii U), but we might not see too many more of them. While that's a pity, I also think it's irrelevant to an extent. I don’t think any horror game, ever, will top what Project Zero 2 has been able to offer me, and all I need is a Virtual Console port of this game to the Nintendo Switch or whatever and I will be forever happy.